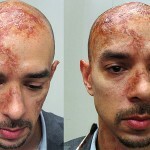 Third degree burn make-up done on a stunt man without any prosthetics. 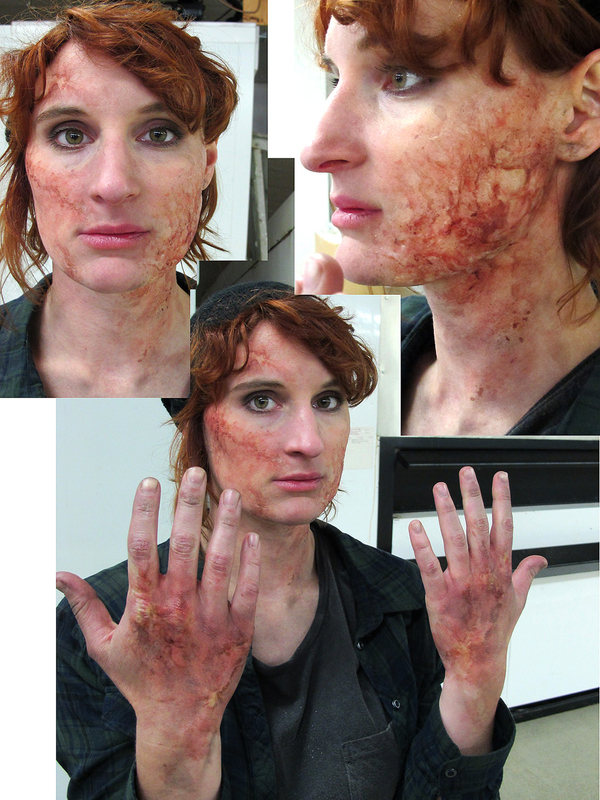 Only out-of-kit materials and color work. 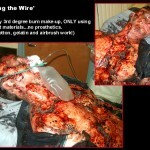 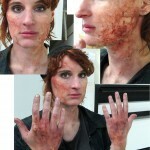 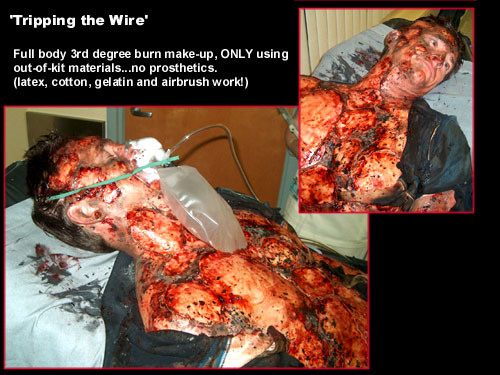 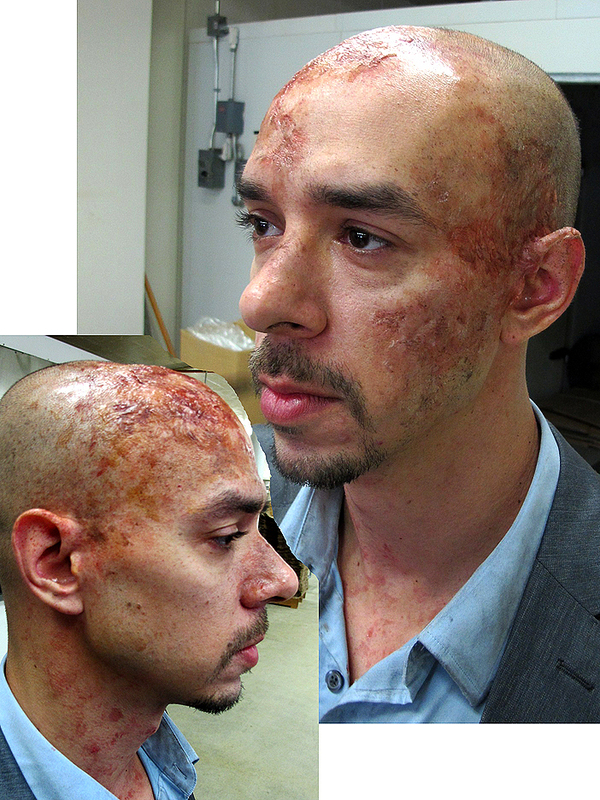 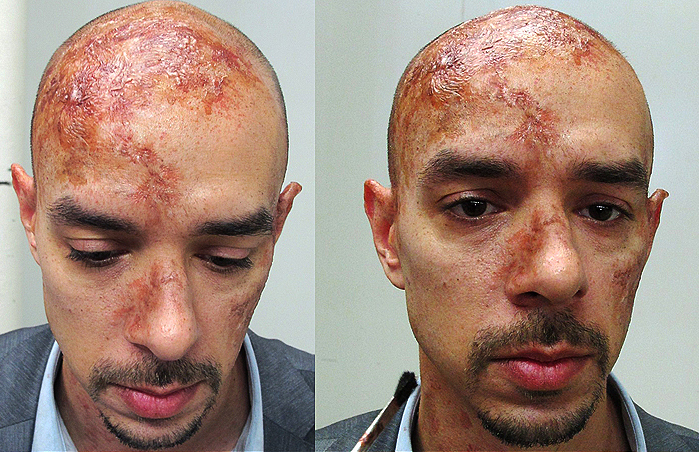 2nd degree burn make-up for ‘Being human’ season 3. 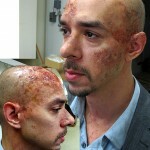 Burn make-up for ‘Being human’ season 3.